This disclaimer contains words and video that explain why we accept no responsibility for the actions of our visitors. 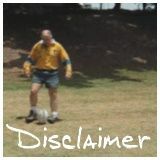 Please pay particular attention to this disclaimer for the reasons outlined in this short rugby video clip. To see how easily injury can occur and why we accept absolutely no reponsibilty for use of information from this website, please view the short video below. I did nothing wrong...but I injured myself... I accidentally trod on the ball and sprained my ankle. The noise I made was a result of the pain and suffering...I was not putting it on!. Despite the enthusiasm and passion I hope are evident on this website, you alone are responsible for your actions...before, during and after you visit this site! When you use information from this site you do so entirely at your own risk. This website is based on my rugby experience and is intended to provide useful information about rugby and in particular the rugby sidestep. If you choose to play rugby or use the information provided on this website (or on websites linked to this website) in any way...then it is entirely your decision and you do so at your own risk. I have dribbled rugby balls in games on numerous occasions without mishap and I was making a video showing how to dribble the ball. I had already done it once without any problems but decided to make another, just in case. Please make sure you take the utmost care and know what to do in case of injury. It has occurred to me that I should explain why I wear an old Australian jersey. Yes that`s what it is, if you didn`t know. Perhaps some may think I played for Australia because of the shirt. I have dual nationality (British (England), Australian). Some people (me and my Mum are just two of them) have said I was good enough to play Rugby for both countries. It never happened. I was never close. I only ever played at a grass-roots level. So why the Australian jersey? Here is a potted vesion of how it came about. knowing how much it cost, I rescue it - good for something? use shirt in YouTube video - old man with "Wallaby potential"
I`m NOT an international player, it`s just a nice, bright shirt. I have been warned about Trade Mark and Trade Practices legislation. That doesn`t mean you shouldn`t let me influence you. 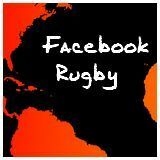 You may find this is the best and most useful rugby site ever! Tell your friends. Enjoy rugby.